At least nine climbers have been reported missing after a storm swept through their camp on a Himalayan mountain. Wangchu Sherpa of Trekking Camp Nepal, who organised the expedition, said they sent a helicopter to investigate on Saturday morning after the team did not get in contact for more than 24 hours. He said all the tents had been flattened, reduced to a tangled mess of tarpaulin and broken poles, and the climbers' bodies were scattered across a wide area, including some in a river bed some 500m away from the main camp. 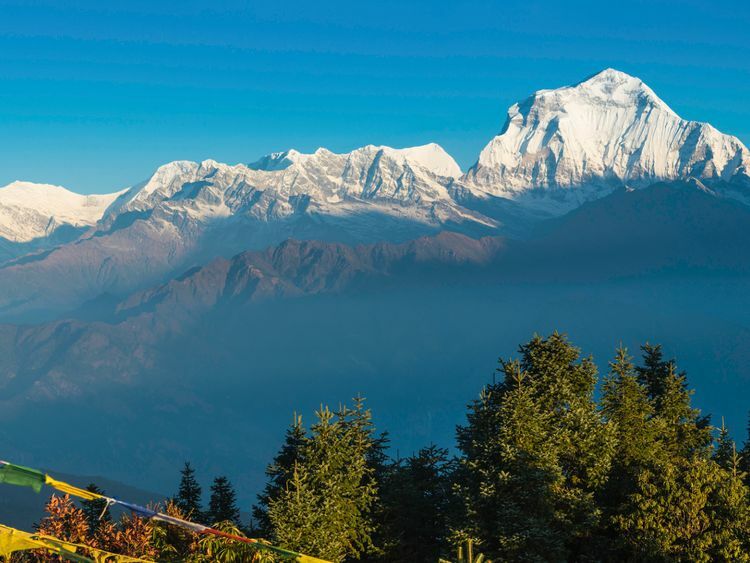 The 23,590-foot Gurja Himal, or Mount Gurja, is part of the Dhaulagiri range in the Himalayas. Among the nine victims are Kim Chang-ho, the leader of the expedition team. Jung "was visiting Kim to encourage the team's expedition but was swept by the strong winds", Eurasiatrek said. "It is unclear whether the seventh body found was that of a Korean or Nepali", Budhamagar said. The bodies of all missing nine people were retrieved from the ravine earlier in the day. Jeong Joon-mo, a director of the Corean Alpine Club and four Nepali guides joined the team in Nepal. Compare that to Mt. Everest, which more than 4,800 climbers have summited - many of them sherpa who have achieved the feat a few times. Despite not being as high as other Himalayan mountains in Nepal, Mount Gurja has seen only a fraction of the climbers of the world's highest peak, Mount Everest.